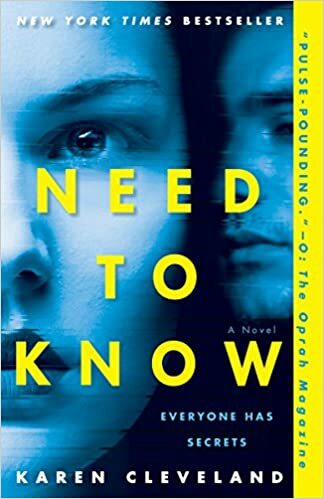 Now in Paperback (a re-post) – Joyce's mystery and fiction book reviews with some non-fiction too! 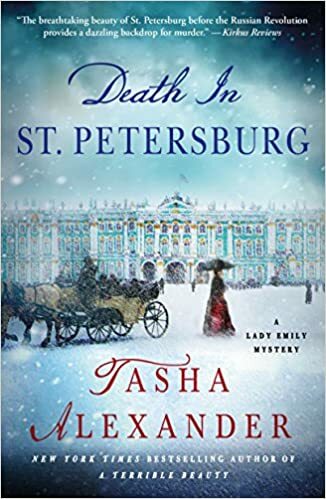 Tasha Alexander’s historical mystery series is at least fourteen books strong and yet, this is the first novel that I have read in the Lady Emily series. How did I miss them? I truly enjoyed this historical puzzler that was set in the wonderful worlds of ballet and 1900 St. Petersburg. The story is told from the perspective of a dancer and Lady Emily. The world of the book comes to life, the characters are engaging and the mystery was intriguing. I highly recommend this one for those who like their mysteries without too much gore. I am certain that I will now read the author’s earlier books. Thank you NetGalley! What does a person “Need to Know?” What truths do we need to live by and how can/should a person compromise? Karen Cleveland’s first novel reads like the book of an experienced author. It not only reflects her background in working for the government but also a keen awareness of what it means to be married, have children, think there is security and find out that is an illusion. I agree with all those big name authors who said that once you start this book, you will look forward to finishing it!